Namco Bandai announced a little while back that Tales of Graces F would be coming to the the west, but the release date was then under wraps. 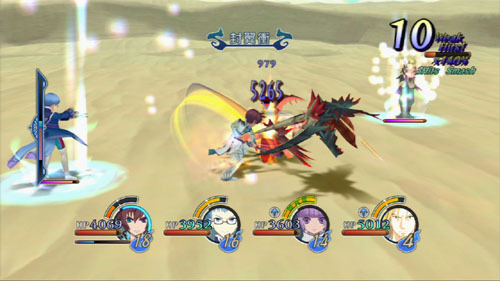 Last week, however, it was announced that the game would be coming to North America on March 13, 2012. Europeans will have to wait a little longer for a Summer 2012 release (the exact date hasn't been nailed down yet, but will likely be announced soon). The european version will also be localized in German and French. Tales of Graces F of course belongs to the popular JRPG Tales series. It will be exclusive to the PS3 with up to 4-player local co-op. We went hands-on with the game last October, and it looks to be a solid addition to the famous series. Page created in 0.8505 seconds.